Internet bots, or bots as they’re commonly known, are small apps that perform automated tasks over the internet. These tasks are typically simple and repetitive. What Tasks Do Bots Do? When you order pizza for delivery, you probably place the order with a bot. When you contact technical support about a problem with an app, a bot may answer your question. When you need help choosing flowers for a friend’s birthday, a bot may suggest arrangements that fit your friend’s tastes. When you have a health issue, a bot may provide advice from a real doctor. Many of the bots you’ll encounter on the internet are programmed to answer specific questions from a list of programmed responses. These bots efficiently answer frequently asked questions with answers from a list of potential answers. 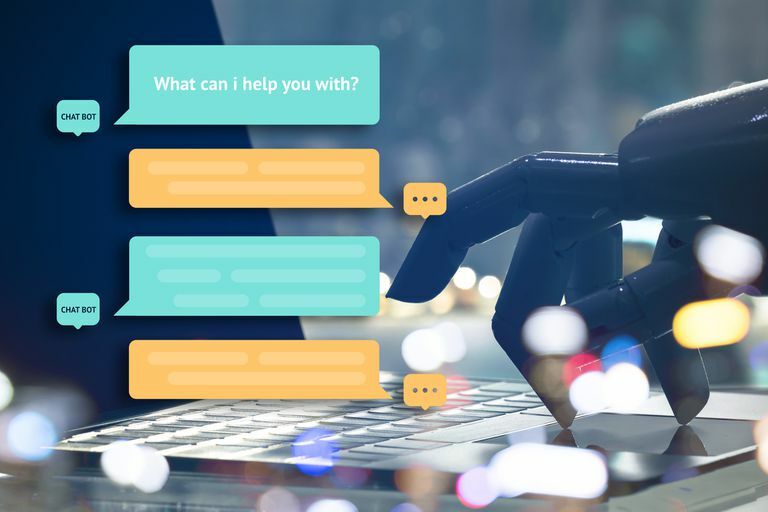 Organizations and groups have found many uses for bots on the internet, such as to assist customers, distribute information, and sell products. Reduce costs: A chatbot replaces the number of employees needed to handle customer service calls. The bot handles the routine customer questions, while complex problems are routed to a customer service representative. Reach a larger audience: Bots are used on social media to connect with more people and increase engagement. Social media posts can be automated. Provide better service: A bot works 24/7 without breaks, and it remembers every instruction and every procedure. The bot answers customer questions instantly and with reliable accuracy. You’ll find internet bots everywhere on the web. Bots hang out prominently on websites and messaging apps, and often hiding behind fake personas and lurking in dark places waiting to make an attack. Here are some of the more common bots that you’ll come across while you’re browsing the web. You’ll find chatbots in instant messaging apps, private chat groups, and in social media messaging services such as Facebook Messenger. Chatbots answer questions from users. When a user asks a question, the chatbot responds with one of its programmed responses. If the bot doesn’t recognize the request or if it needs more information, it replies with a programmed response that prompts the visitor to rephrase their question. Troubleshoot and solve problems users may have with their products. Help customers select the right product for their needs. Provide information about their services, hours of operation, and how to contact the company. Social bots take the place of a human on social networks. Many times, these social bots have social media accounts on Facebook, Twitter, and other social media. These bots spread information, factual and misinformed, and are used to start conversations or spread opinions. Companies use social bots to market their products and increase their social media influence. Political campaigns use social bots to spread their view to a wide audience. Social bots use fake social media accounts to attract people and start conversations. If you use a dating app such as Tinder, check up on your match and make sure you're dealing with a real person and not a scam bot. If you love playing online multiplayer games, chances are you’ve played with a bot. Many online games have virtual actors who react to your actions in the game. These virtual actors are bots. You’ll find these virtual game bots in role-playing games, action games, card games, and strategy games. You won’t see a web crawler as you browse the web, as these bots go unnoticed. Search engines use web crawlers to crawl the web, analyze the information they find on a website, and add this information to the search engine directory. Commercial bots automate trading on auction websites. These bots search sites for good deals. Malicious bots initiate attacks that harm computer networks, commit click fraud, or produce large quantities of spam. Spambots collect email addresses from contact lists and guestbook pages. Downloaders use up bandwidth by downloading entire websites. Scrappers steal website content and use it without permission. What Is a Bot Net?